This week's Tech Roundup is a good un featuring a new bike tracker you can hide inside your seat tube, a tiny wall-mounted bracket for storing your bike, a battery for recharging mobile devices as you ride, and some fluorescent saddles. We kick off, though, with Rapha's new Road Collection for men. The 2015 Rapha Men’s Road Collection is now available with many existing styles coming in new colours. 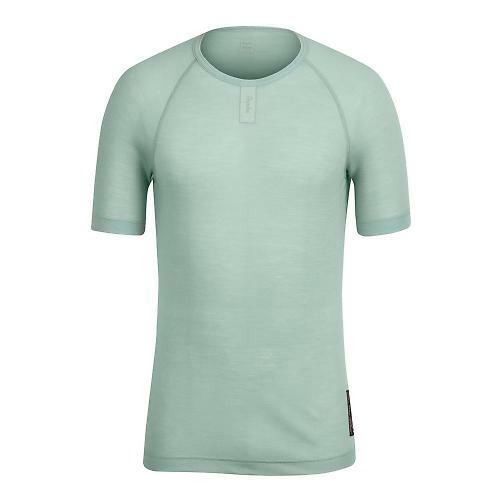 The Club Jersey (£100), made from Sportwool (polyester/merino wool mix) comes in three colour options, including this sage green/grey model. 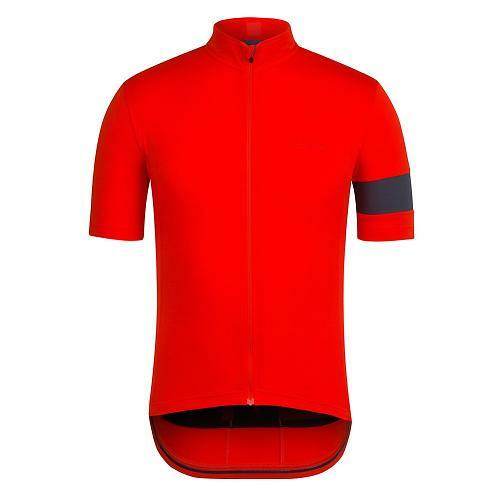 The Lightweight jersey (£100) is Sportwool too but, as the name suggests, it’s a lighter version. It comes with a full-length front zip. 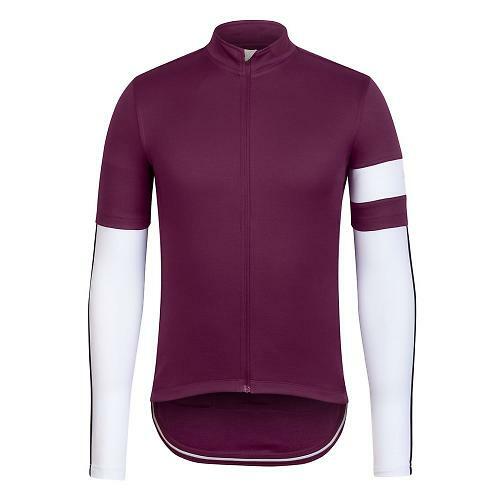 The Classic Jersey with Arm Warmers (£140) is available in six different colours, including purple. All versions get white arm warmers. The pure merino wool Short Sleeve Base Layer (£60) is now available in five different colours: black, cream, dark grey, grey marl and sage green. Many other items have new colour options too. 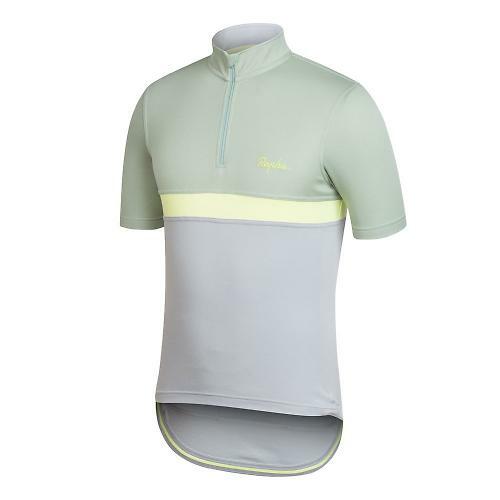 Check out the full range on Rapha’s website. 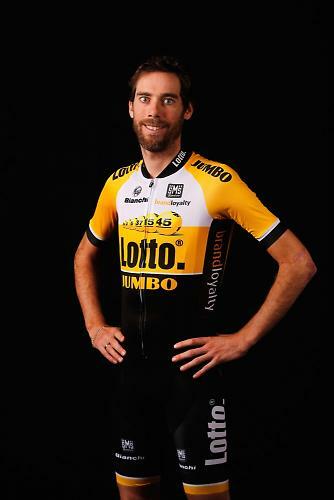 Online cycling/entertainment platform Zwift has announced former pro cyclist Jens Voigt and current Team Lotto NL-Jumbo rider Laurens Ten Dam as their first two ambassadors. The athletes will use Zwift to ride with fans online and in virtual reality environments. 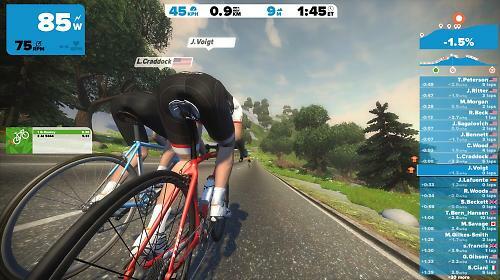 Currently available as free Beta product, Zwift has received over 40,000 registrations and is available to both Mac and PC users. Zwift Beta testers require a compatible bike trainer, wireless speed/cadence sensor and a USB ANT+ dongle. Information on equipment compatibility can be found at www.zwift.com. Now regularly seen riding laps on Zwift Island (the Zwift virtual reality world), Voigt and Ten Dam will be leading rides with the Zwift online community and offering input on product development. 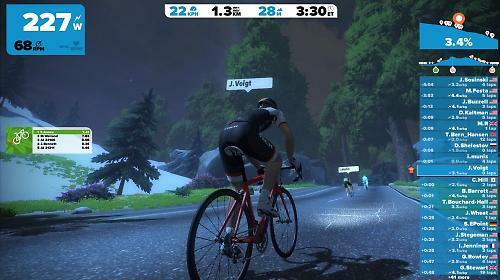 Zwift is expected to release added virtual reality courses and product features throughout 2015, based on feedback from its Beta testers. For more info go to www.zwift.com. Oxford are now offering a battery powered GPS Tracker. The idea is that you conceal the device on your bike and activate it via your phone, tablet or computer. “If your bike gets stolen, simply open up your Tracker App to find out where it has been taken anywhere in the world with a mobile network,” say Oxford. The device is waterproof and the lithium battery life expectancy is 10 years, or up to 14,000 tracked positions. The tracker provides a trackable location after it has been still for five minutes. You can also set it to give you a new position every five minutes while it is moving. One other useful feature is the Geoffence mode, This allows you to set a geographic area around the tracker. You’ll get an email if it is moved outside this area, and you’ll get a new position every five minutes while the tracker is still moving. 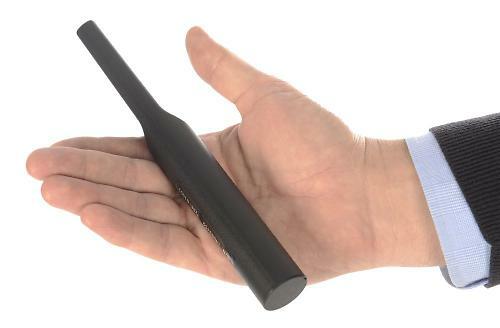 The Oxford Tracker is 200mm long with a 25mm diameter and it weighs a claimed 120g. Concealing it so that a thief doesn’t spot it and remove it would be relatively easy in a car. On a bike, you’d need to put it inside the seat tube, or perhaps inside a larger diameter seat post. Check that your bike can accommodate those dimensions. Oxford say they're working on a version that will fit every bike. 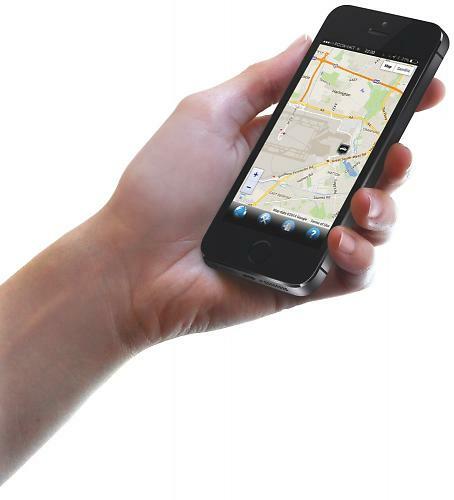 You can also use the device to track your route, downloading the map onto a computer at the end of the day. The Oxford Tracker is priced at £199.99 with subscription rates from £3 per month. For more info go to www.oxprod.com. 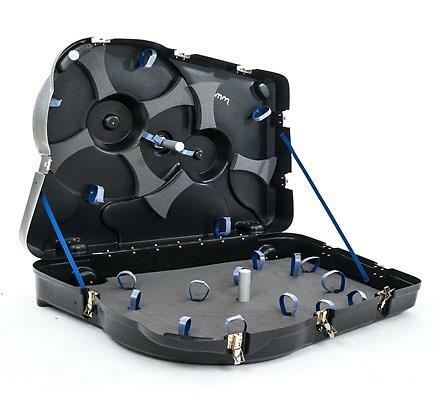 Bikebox Online have a new website where you can buy and hire rigid bike boxes for trips abroad. Hire charges start at £6 per day with discounts for groups of five or more. Bikebox Online have several hire hubs in the UK and Ireland from where you can collect or drop off boxes, or you can opt to courier it instead. If you want to buy, Bikebox Online offer their own VeloVault rigid case for sale at £449. We have one in for review here at road.cc right now so stay tuned for a review shortly. For all the details go to www.bikebox-online.co.uk. Canadian brand Clug has launched tiny wall-mounted brackets for road, mountain and hybrid bikes. The brackets are said to hug the bike tyre securely, transferring the weight to the ground-based wheel. The Clug Roadie measures 42mm x 42mm x 32mm (1.65in x 1.65in x 1.26in). The Clug Hybrid is a little larger and the Clug MTB is larger again. The Roadie takes tyre widths from 23mm to 32mm and is designed to hold bikes of up to 13kg (28.6lb) under typical tyre pressures. The design is available in eight colour options: blue, green, black or orange insert with a black or white outside. The wall-mount bracket comes in two parts, the strong outer Clipper, which attaches to the wall using two screws; and the rounded Gripper insert, which hugs the bike tyre. The design was first seen as a 2014 Kickstarter project. It received over three times its $32,000 target to take it into production. 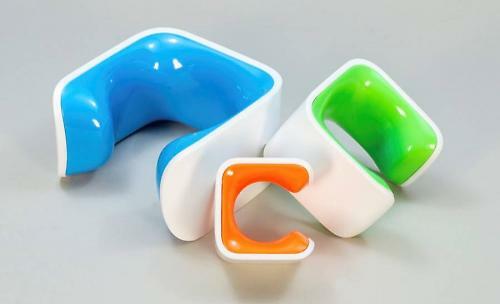 All three versions are available through Clug’s international distribution and retail partners and direct from Clug’s online store, www.getclug.com, where they are priced at $25 each. 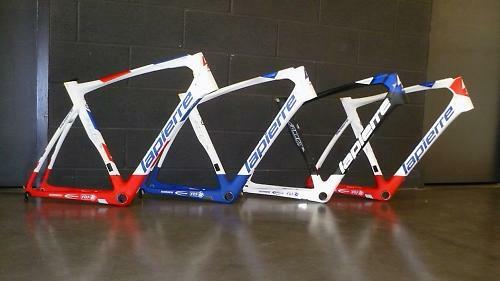 Four FDJ riders, Thibaut Pinot, Arnaud Demare, Arthur Vichot, and Jussi Veikkanen, have been given personalised Lapierre Aircode frames in different paint designs to those of their teammates. 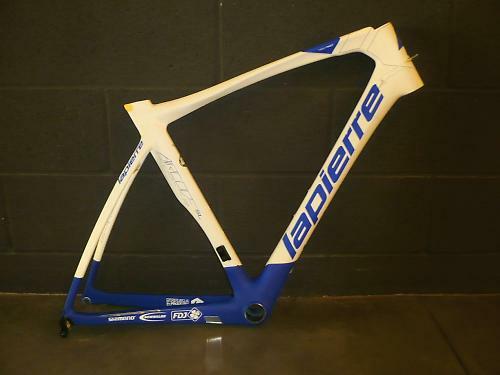 These will be put into action for the first time on the roads of the Grand Prix de Samyn (Veikkanen), Paris–Nice (Vichot and Demare), and Tirreno (Pinot). Swiss Side have released a CFD (computational fluid dynamics) report detailing the development processes and results of its new profile rim designs, the 485 and the 800+. We told you briefly about the project last week. The report is quite detailed so rather than us trying to summarise it here, head over to the Swiss Side website and read it in full. Swiss Side say that their focus is on optimising the ‘real world performance’ out on the road rather than simply targeting the best wind tunnel numbers. Swiss Side are due to publish a wind tunnel test report next week and the final specifications and pricing the week after that. If you happen to be out in Mallorca this year, Isadore Apparel, the brand owned by pro rider Martin Velits (Etixx-Quick Step), has opened a pop-up shop you can visit. 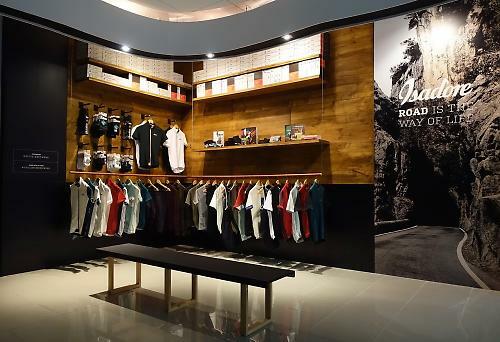 The store stocks the full Isadore Spring/Summer collection along with a selection of accessories and cycling books. You can get a coffee there and watch TV coverage of the Spring Classics and Grand Tours. You can rent high-end bikes (Cannondale and Colnago) from Bikehead at the store, and book guided cycling tours at Bike_nnet. The store is in Port D’Alcudia (c/o Bikehead, Carrer Mareperla 4, 07400 Port D’Alcudia) and it’s open from 9am until 6pm until the end of October. For more info go to the Isadore Apparel website. Germany’s ZNEX has launched the Notstrøm which it says is the first mobile, weatherproof battery that’s designed for use even in the most challenging cycling conditions. The 10,000 mAh capacity is enough to recharge an iPhone from flat up to five times. It comes with a mount that can be clicked into place and removed easily. If you use a GPS app on your smartphone with a continuous data connection and a constant display, you’ll know that it drains the battery very quickly. The Notstrøm, which runs on Panasonic lithium ion batteries, is designed to recharge devices so you can use them for much longer. The Notstrøm is dust-proof and waterproof (up to IP67, which means it can still function after 30mins a metre under water) so it can charge your phone in heavy rain. ZNEX say the powerful 2.1A output port allows you to recharge a smartphone as quickly as if plugged into a wall socket at home. You can charge the Notstrøm via a micro USB port that’s sheltered under a screw cap. 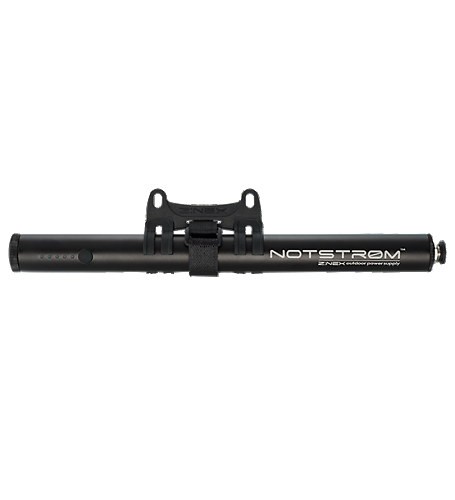 The Notstrøm is 30cm (12in) long and it’s made of aircraft-grade aluminum. It weighs a claimed 291g. It’s available now for £65.40 from www.znex.de. 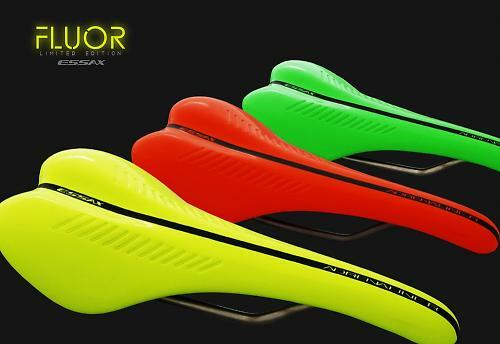 Essax have launched limited edition versions of their Adrenaline R road and Adrenaline XC mountain bike saddles in yellow, green and orange fluorescent finishes. 500 saddles in each style and colour have been handmade in Spain. They all come with a keyring featuring the saddle’s engraved serial number. The saddles are made with carbon-fibre reinforced plastic shells and titanium rails. They’re available by special order via the Essax’s UK Distributor Nrg4. Email sales@nrg4.co.uk for details.